The study showed that language shapes the way we perceive time. But other studies show that language shapes our view of the world, not only time. 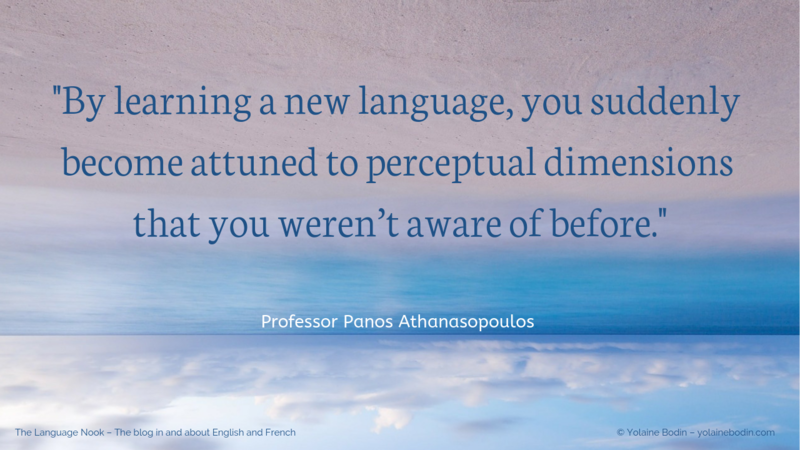 If you speak two or more languages, have you ever realized how your perception of an event can differ depending on the language context you experience the event? That’s the magic of learning a language: it opens up a whole new world to you. Maybe that’s why you can sometimes feel that you are a different person when speaking another language. If you have examples of how speaking one or another language affects you and your worldview, share your experience in the comments below!